The Best Vintage Home Blogs from thousands of Vintage Home blogs on the web using search and social metrics. Subscribe to these websites because they are actively working to educate, inspire, and empower their readers with frequent updates and high-quality information. Vintage Home newsletter is a comprehensive summary of the day's most important blog posts and news articles from the best Vintage Home websites on the web, and delivered to your email inbox each morning. To subscribe, simply provide us with your email address. About Blog I have a passion for decorating! I love to use pastels to decorate our home. My style is a mix of Romantic, Farmhouse, and Shabby Chic all rolled into one. Facebook fans 4,680. Twitter followers n/a. About Blog In this blog, you will find articles about Farmhouse, DIY, Home Decor, Vintage, Free Printables, and much, much more. Facebook fans 50,948. Twitter followers 1,048. About Blog Vintage Inspired Living....With a French Twist! Welcome! I'm Cindy, the blogger behind E&E! Here, you will find design, decor, and DIY, as we show you how to create a vintage inspired home....all with a french twist! Follow my blog to get ideas and inspiration for decorating your home. Facebook fans 30,498. Twitter followers 484. Round Top, Texas About Blog We invite you to shop our worldly treasures, stay in our Round Top, TX home rental, and follow our journey as we aspire to live "A Modern Vintage Life." Facebook fans 5,122. Twitter followers 674. About Blog Everything from decorating, vintage finds, colorful style, recipes, travel and cocktails! Facebook fans 48,046. Twitter followers 5,750. About Blog This blog features all things vintage. From decorating to designing, you will get all the tips required to give your home a vintage look. Facebook fans 146,143. Twitter followers 314. About Blog Little Vintage Cottage is a DIY and home décor blog sharing how to create a unique-to-you home through step-by-step tutorials, product recommendations, and DIY. Facebook fans 1,230. Twitter followers 1,567. UK About Blog This blog shares Home decor ideas for vintage homes. Here, you will also find several frugal ways to style your dream home. Sylacauga, Alabama About Blog Hi! I'm Wanda, the owner of Just Vintage and this is my blog. Just Vintage sells decor and collectibles. This blog is all about the business, our home, our DIY projects and our lives. Facebook fans 1,071. Twitter followers 893. About Blog Join me in this farmhouse journey and see all the ways you can include these beautiful pieces in your home. I believe that even in the worst circumstances, you can still find beauty and grace. Just like that, you can transform your home into the same light, adding pieces that last forever and tell a sweet story. Pieces that add value and assist in creating beautiful memories with your family. Facebook fans 8,330. Twitter followers n/a. About Blog Our Vintage Nest is all about sharing ideas about decorating and helping to inspire others to create their own style in their homes. Facebook fans 8,727. Twitter followers n/a. Olds, AB About Blog Hi I'm Deborah. Welcome to B Vintage Style, my blog about my home, DIY's and all of my favourite things! Please follow me for lifestyle inspiration, recipes, home decor, organizational tips and more. Facebook fans 4,935. Twitter followers 96. Norfolk About Blog This is my blog about interior decoration to suit all budgets, vintage finds, traditional British design and country house inspiration. 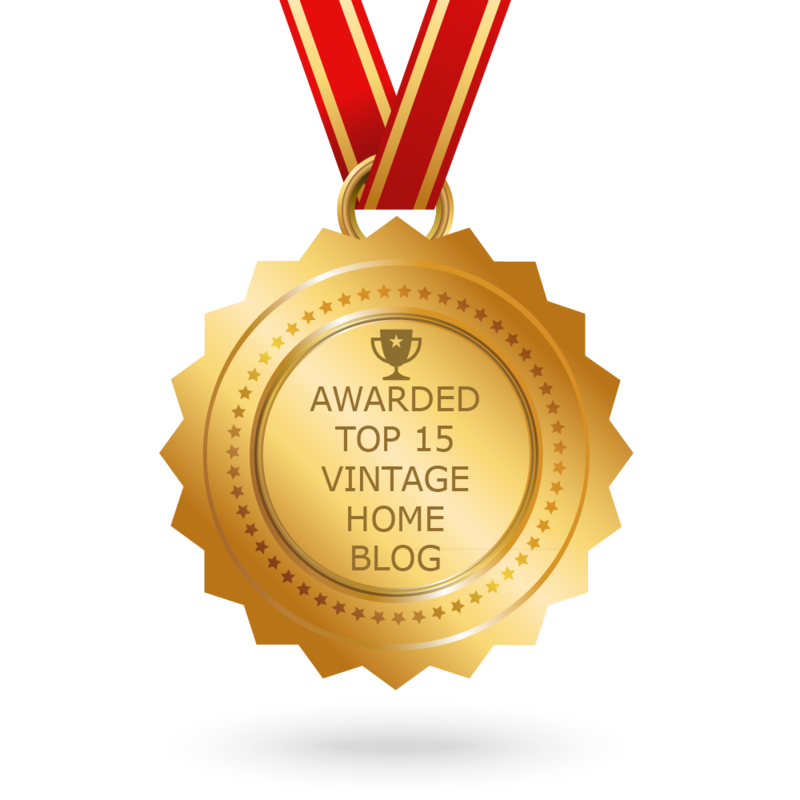 CONGRATULATIONS to every blogger that has made this Top Vintage Home Blogs list! This is the most comprehensive list of best Vintage Home blogs on the internet and I’m honoured to have you as part of this! I personally give you a high-five and want to thank you for your contribution to this world.